Some times going out for a walk you run into a happy accident. 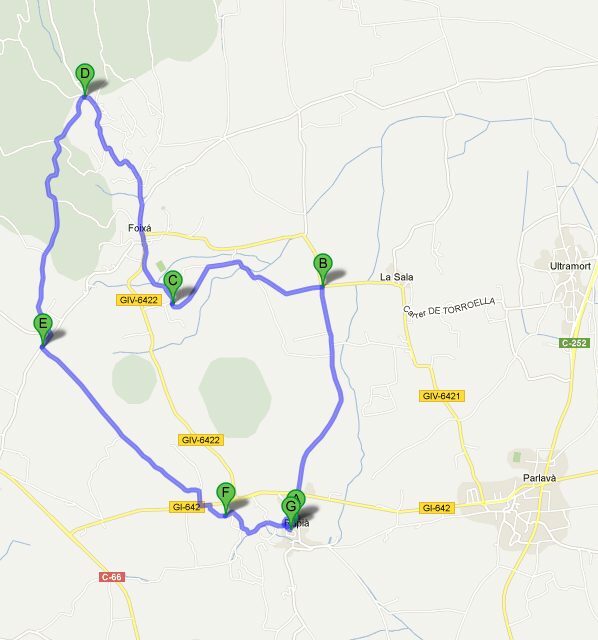 Though Rupia is just off the main route from Girona to Torroella and L'Estartit for us it's not on our normal route home so we rarely go past. And even if you do drive through it's easy just to miss the towns so this was a little bit of an explore for us, but one that turned up a couple of interesting towns/villages off the beaten track. The walk started in Rupia. There's easy marked parking just outside the centre. 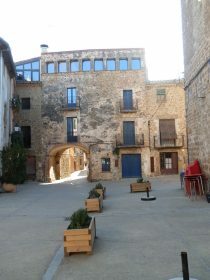 Rupia is a small town with an inner square that, like many Empordan towns, is actually walled in by the surrounding houses for protection so you need to go into the centre to get a proper sense of the town. Consequently the first thing was to walk around the village to find out where everything was. Having got locations we headed north out of the village back to the main road. The path follows a track marked as a bike path (the brown signs) on the right hand side of the bus stop and the right hand side of the hill in front of you. 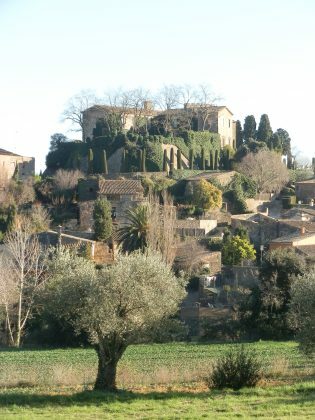 After a few hundred metres the path opens up to broad open field with views to Torroella in the distance to the right and up past Jafre to the north. The views are very clear at this time of year. 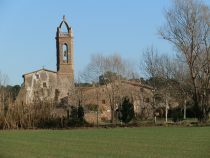 We walked along the track until the cross roads near the pretty, but strangely isolated, church of Santa Maria - that is it's an impressive church built near a masia farmhouse but with no apparent village nearby. The quirkily named village of Ultramort is just the other side of the hill with it's own church. At the cross-roads is a metal cross just as you reach the tarmacked road. Instead of taking the road we turned left and followed the track towards the castle of Foixa to your left. 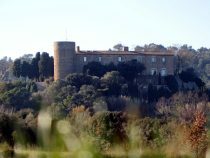 The castle is private and stands above the plain and following the track will take you all the way to the top. At the top take the chance to explore the small huddle of houses around the castle before following the path to the village of Foixa itself down to a stream and another cross - stone this time, before gently going up to the village itself. From the village road you have very clear views across the plain of the river Ter below and out to L'Estartit and the Isles Medes in the distance. And across the valley from the church are a number of sizeable old masias. Being unfamiliar with the village we're not sure if we saw all of it, or the best of it, but we headed up through the centre until the road turned into a track through the woods and we followed the track through the woods. At the end of the track, the path met a tarmacked road. This was a little bit of a surprise as our map still had it as a footpath. The walk is a little dull along the road so there is probably a better route for next time. When we reached the Foixa-La Pera road a brief left followed by a right along by what looks like an airstrip and then over the top of the hill and back down to Rupia. Crossing the main road again, the path follows a small stream back into Rupia itself.